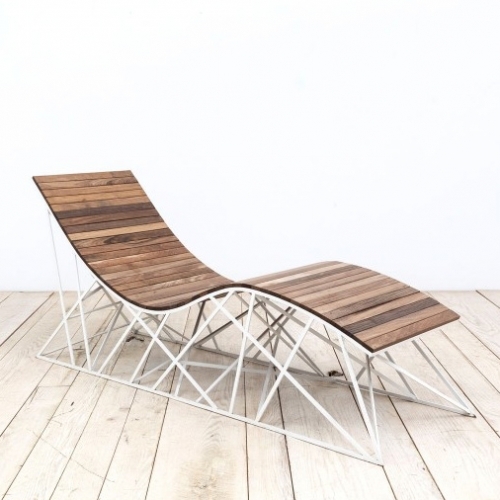 Uhuru Cyclone Lounger - in reclaimed Coney Island boardwalk (ipe) with powdercoated steel base. 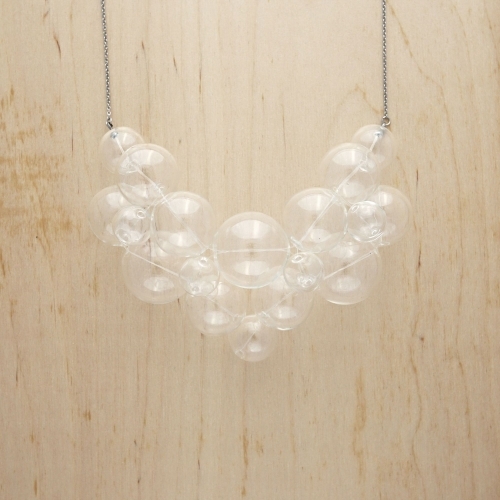 Uhuru is a multi-disciplinary design firm based in Red Hook, Brooklyn with pieces in the Smithsonian and Brooklyn Museum‘s permanent collections. 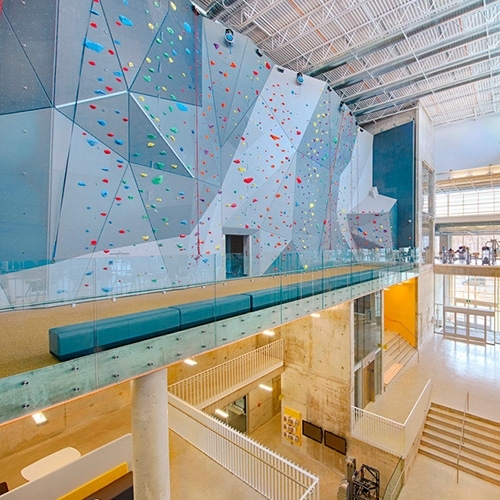 University of Manitoba Active Living Center with a 12-metre climbing wall and an elevated 200-metre indoor running track by Cibinel Architecture Ltd+ Batteriid Architects. 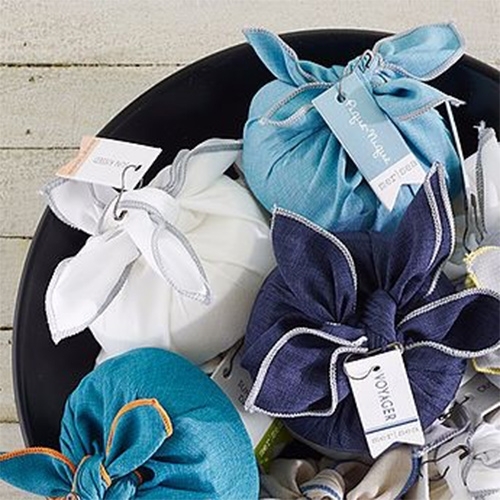 Mer Sea & Co. Soaps come wrapped in handkerchiefs! 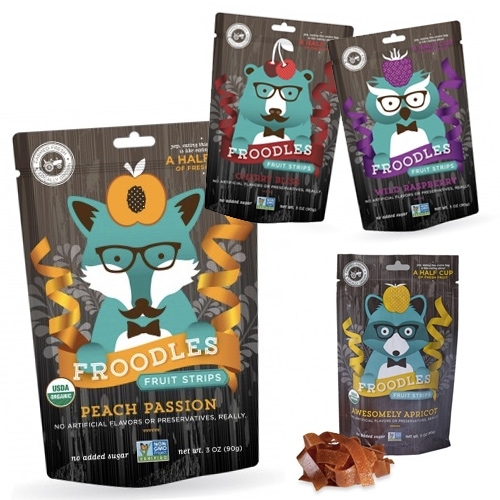 Fun packaging concept that makes for a lovely gift presentation. 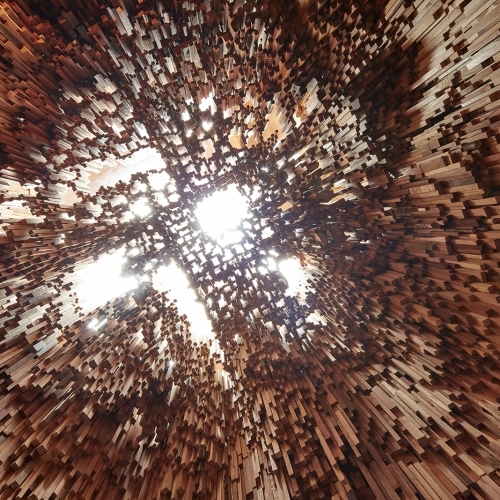 Katie Paterson in collaboration with Zeller & Moye has gathered 10,000 tree species spanning time and space for Hollow, a new public artwork for Bristol, commissioned by the University of Bristol. 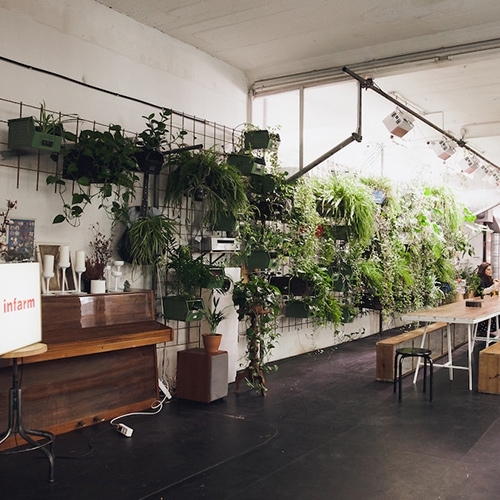 Addicted To Retail (ATR) talks with Mission Workshop about retail reality, including the unique challenge and opportunity of combining their retail and workshop. 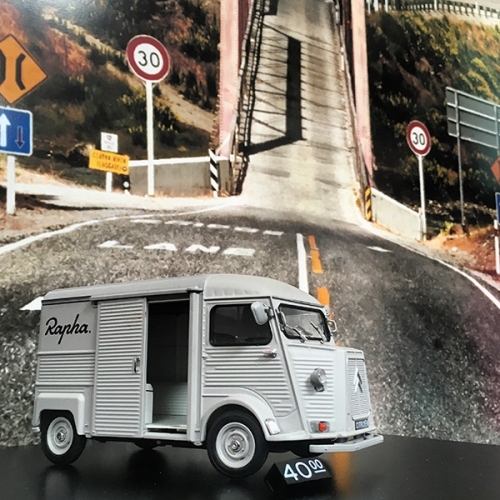 FEATUREDRapha 1:24 Scale Citroen H Van! Our favorite iconic utilitarian van in toy form - filed with amazing details! 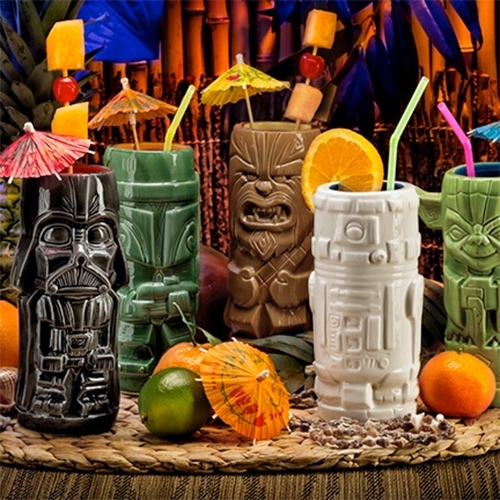 Star Wars Geeki Tikis - Boba Fett, Chewbacca, Darth Vader, R2-D2, a Stormtrooper, or Yoda. Think Geek exclusive. 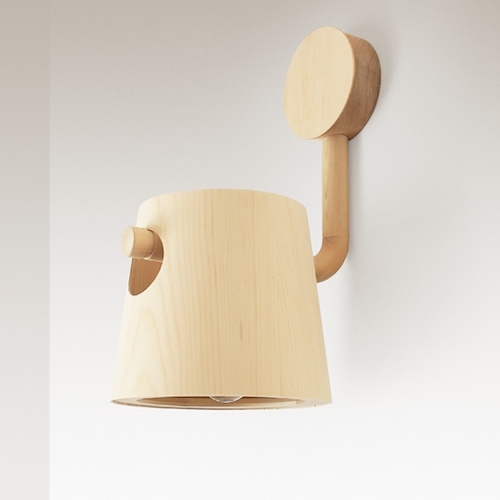 Bucket Wall Light by Pierre + Charlotte, designed and made in Tasmania, Australia, with timber only found in Tasmania. 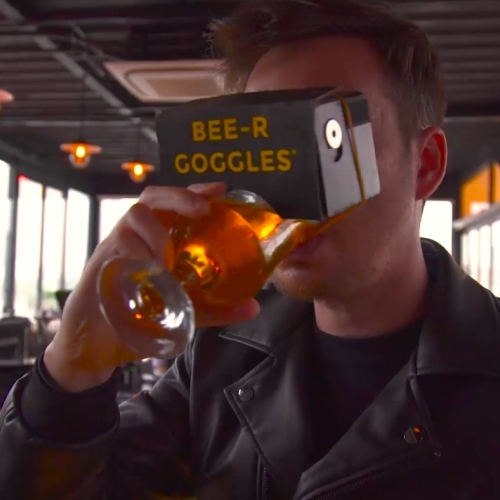 VIDEOBEE-R Goggles, a virtual reality headset (attached to your beer) designed specially for beer lovers the world over to get immersed in their favourite beverage like never before. 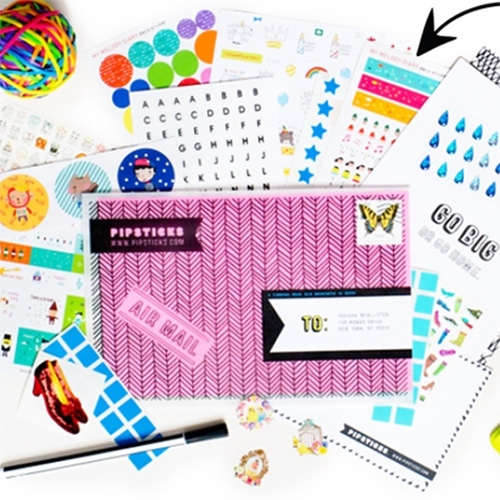 Pipsticks - adorable sticker subscriptions that come in the mail! For kids... and kidults? 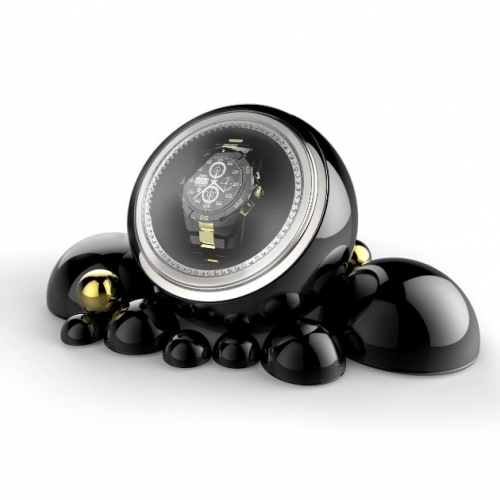 Boca do Lobo Cloud Watch Winder reflects fascinating design handcrafted to become an object of desire. 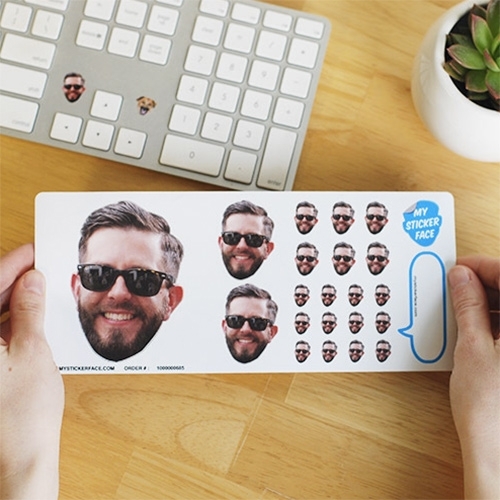 Sticker Face - upload a picture, and they'll help you cut it out and make stickers (in so many sizes!) of them. ultimate gift/silly decoration for just about anyone. Peter Zimmermann – Schule von Freiburg. 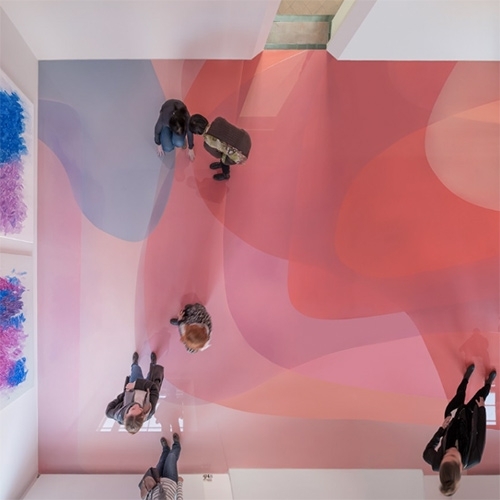 Beautiful installations at the Museum für Neue Kunst in Freiburg, Germany. 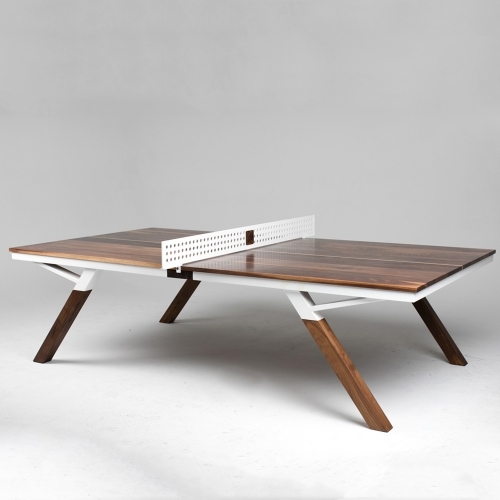 Designed and crafted to the ITTF spec size, the Woolsey Ping Pong table is able to transform from a dining or conference table, and in a matter of seconds can be ready for game play! 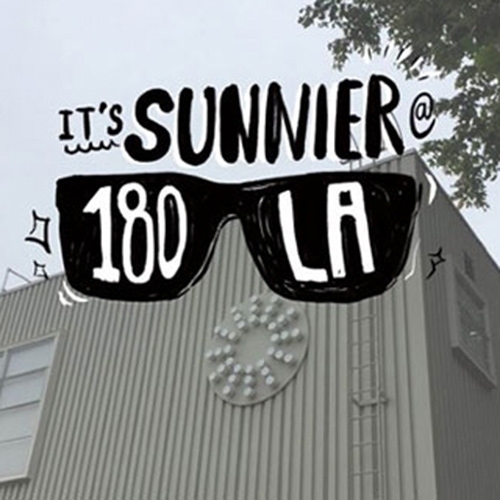 AdWeek "180LA Targets Other Agencies With Snapchat Geofilters to Nab a Social Media Manager 40 replies in 10 hours" - nice subversive use of snapchat filters to recruit! 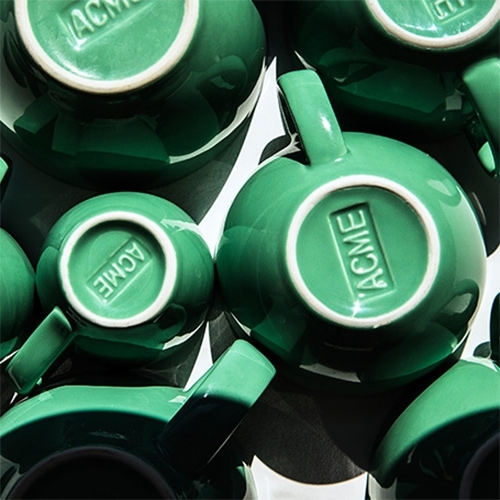 Tasting Table "World Cups: Meet Acme & Co., the New Zealand coffee cup star that's making its mark on American cafés" Fun look at the story behind the iconic espresso/coffee cups you've been seeing all over. 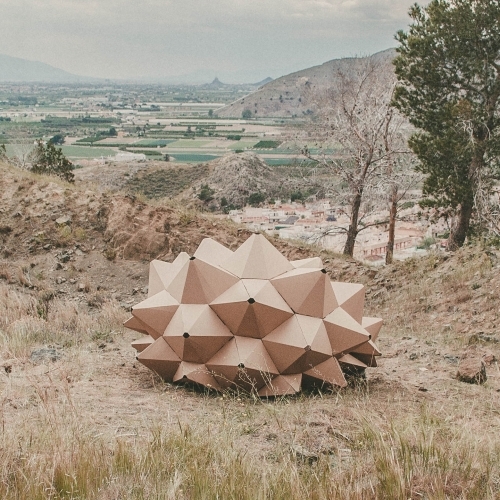 Duotone furniture series by YIELD. 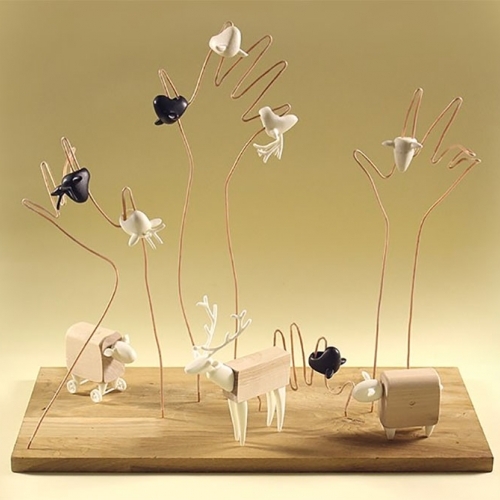 Launching at ICFF during NYCxDesign. 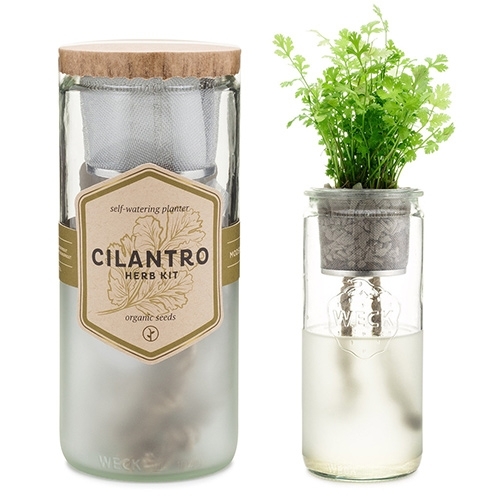 Modern Sprout Eco Planters - self-watering herb kits in weck jars with organic seeds. 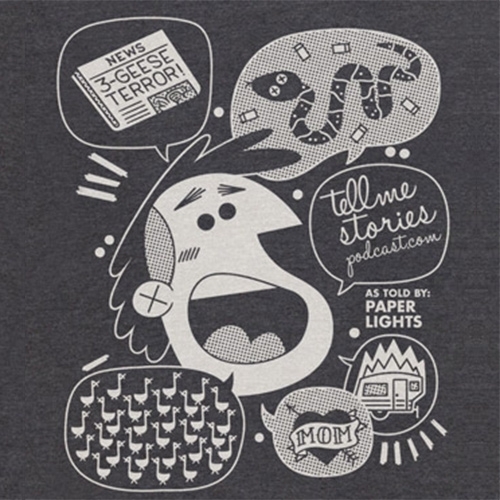 Musician Paper Lights’ story of snakes and trailers immortalized in t-shirt form by illustrator Andrew Kolb for the Tell Me Stories podcast. 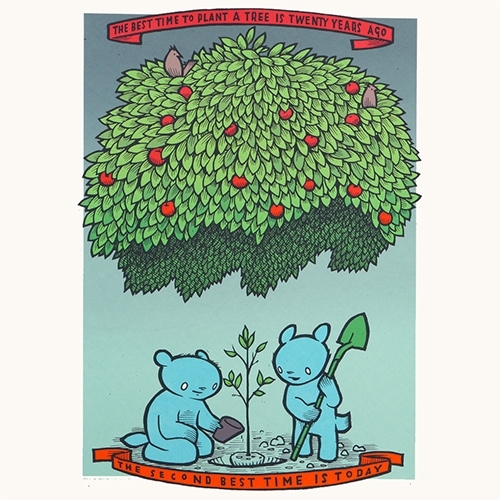 "The Best Time To Plant A Tree" print from Jay Ryan (The Bird Machine). So true! The best time to plant a tree is twenty years ago. The second best time is today. 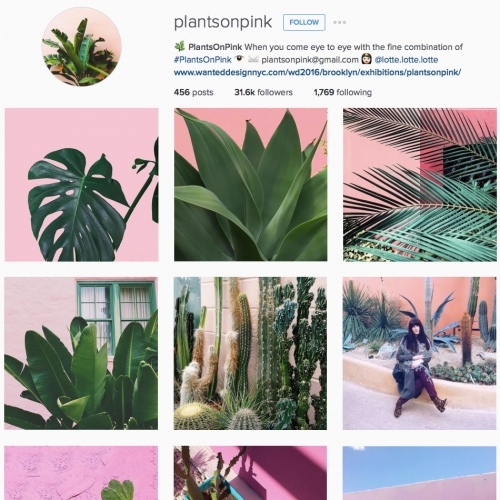 PlantsOnPink on Instagram - plants are taking over the design world, and there's something mesmerizing about these pink/plant combos that you'll start spotting all over after scrolling through this feed. 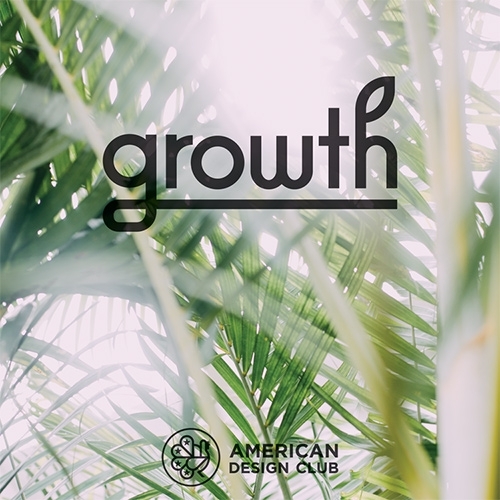 FEATUREDGrowth Exhibition by the American Design Club for NYCxDesign Week is looking pretty fun based on these instagram leaks so far... so much designer plant/planter love! 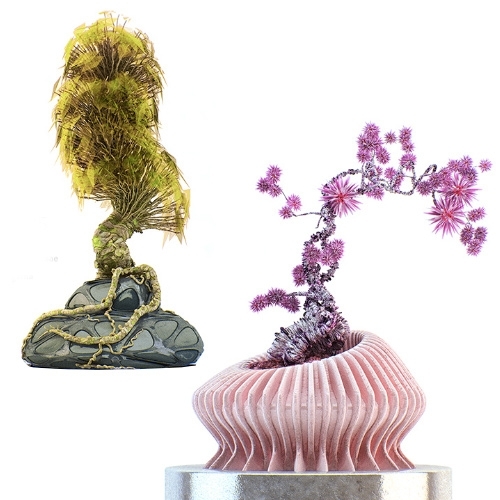 Alien Bonsais of Chaotic Atmospheres. 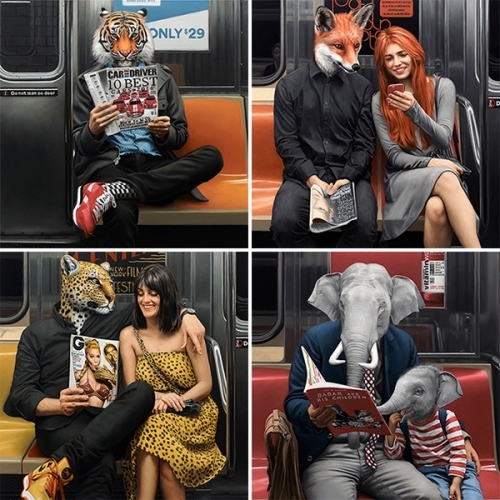 If only they were real... stunning imagery though! 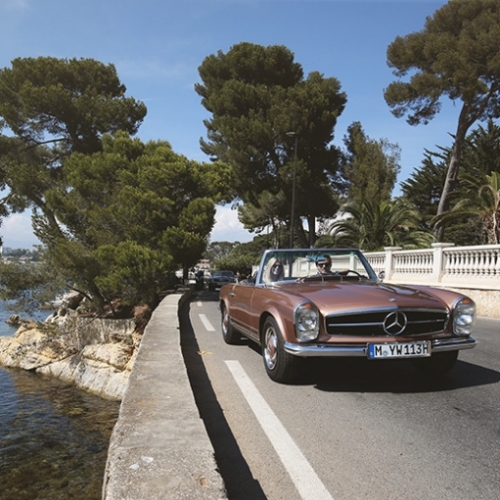 Mercedes Benz Classic Car Travel embraces the growing love of gorgeous vintage vehicles with these SL road trip adventures in Tuscany and Provence. 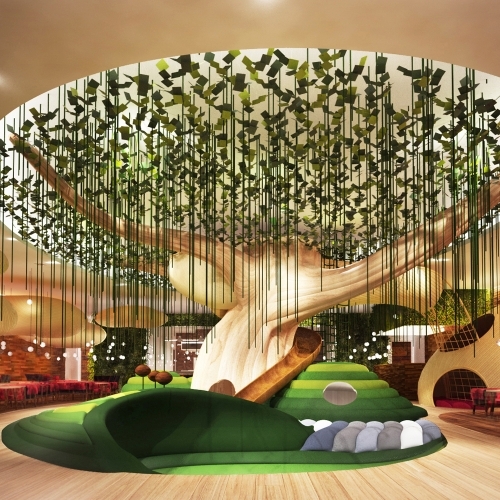 It's like a press trip - small group, arranged routes, boutique hotels, and culinary delights! 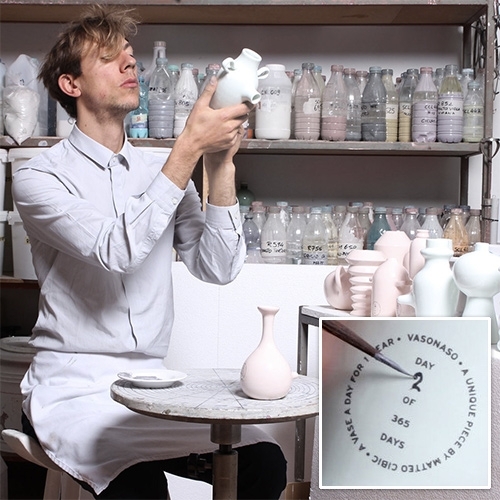 Matteo Cibic Vasonaso Project - A vase a day for a year... he's up to #125/365 so far. 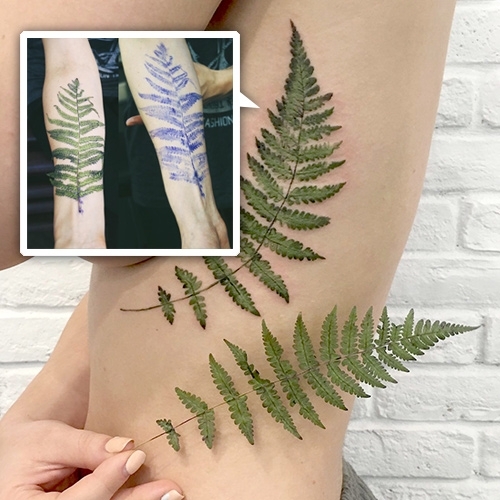 Rita, tattoo artist from Kiev, Ukraine first inks a plant to stamp it on to the body before free handing plant/flower inspired tattoos. 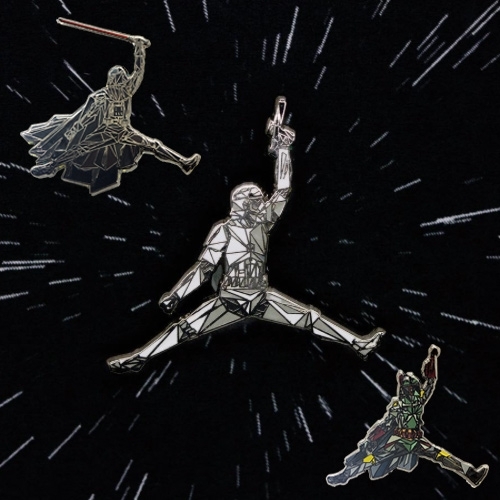 Pintrill Air Trooper, Air Vader, and Air Boba Fett Pins for May the 4th! 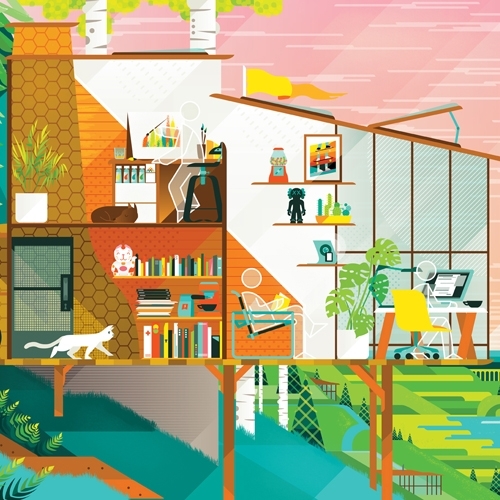 Ben the Illustrator has created a 'Dream Workspace' by collating the answers of 99 creative professionals when asked "What's Your Dream Workspace? ", and illustrating the results! 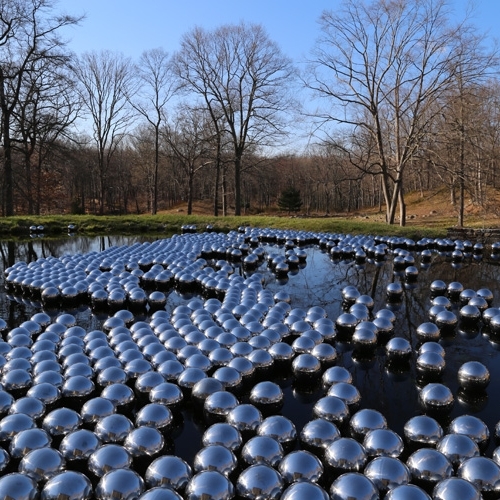 Yayoi Kusama Narcissus Garden at The Glass House comprises of 1,300 floating steel spheres, each approximately 12 inches in diameter installed in the Lower Meadow and forest. FEATUREDThe Vanimals of Jonas Claesson! 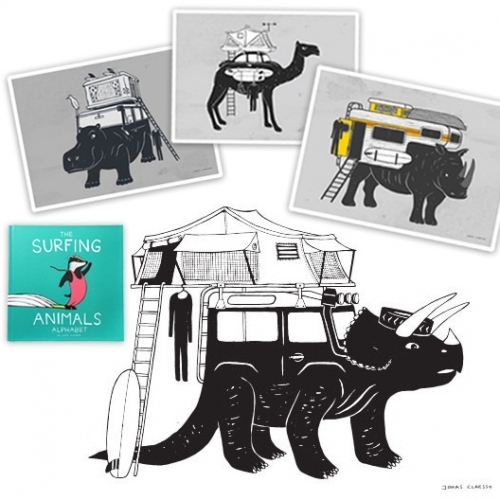 Amazing mashups of illustrated creature/adventure mobiles complete with so many roof top tent variations. Also the cutest kids book, The Surfing Animals Alphabet. Love the Trifendertops! 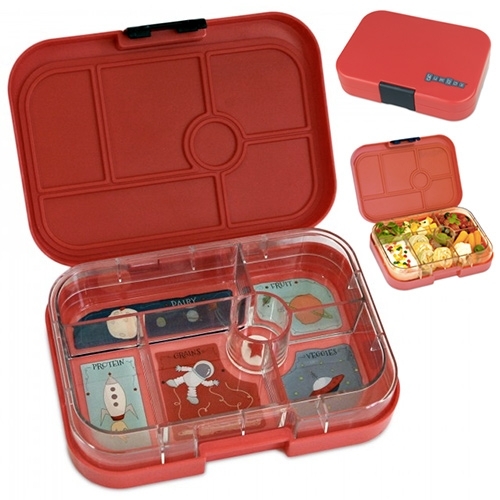 Yumbox Lunchbox for kids (or adults?) 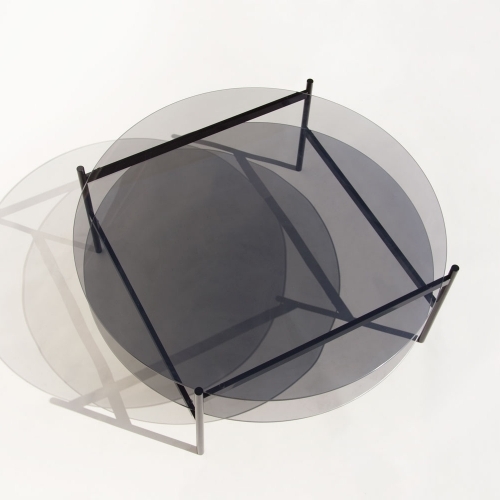 - swappable compartmentalized trays for keeping things organized (i.e. grains, protein, fruit, veggies) with fun themes like space. 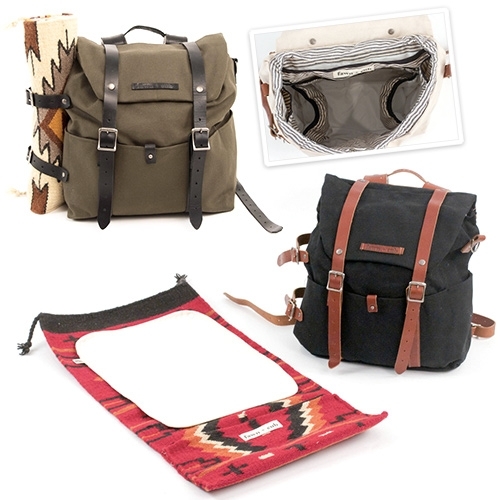 Fawn + Cub Ruckus Sack Diaper Bag and Yucca Changing Mat. 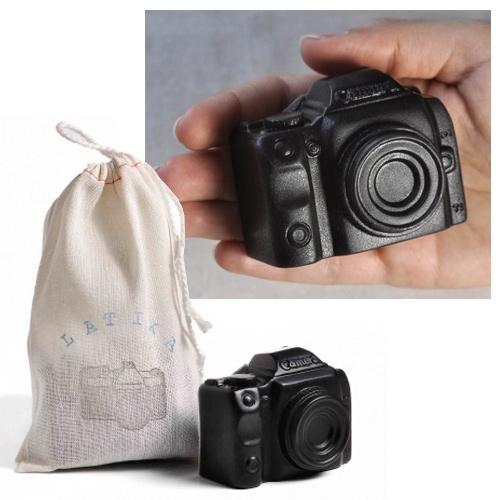 Definitely not your usual parenting bag, it's filled with pockets, magnetic snaps, and organic easy to clean fabrics. Transitions into a non-baby bag with ease. Handmade in CA. Edible Gardens LA builds, plants and sustains organic vegetable gardens. 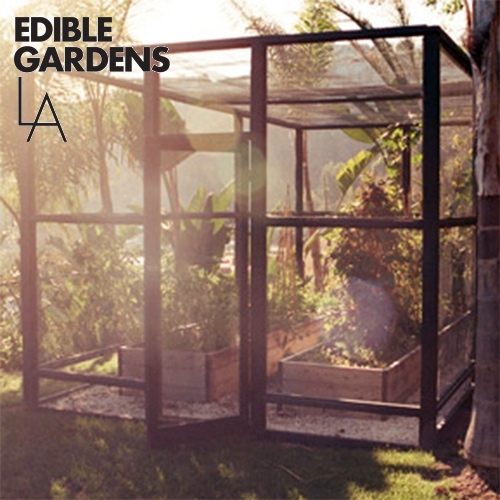 Founded by Lauri Kranz, singer-songwriter turned go-to edible gardening consultant Inspiring gallery of edible gardens around Los Angeles. 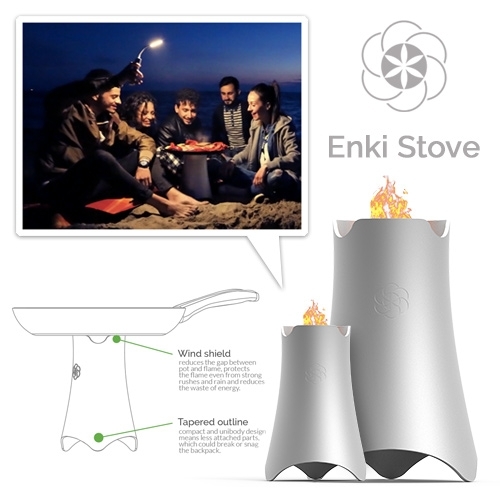 EnKi Stove Wild - High performance biomass camping stove (similar to Biolite) from Italy. Just gather twigs and sticks to power your stove. 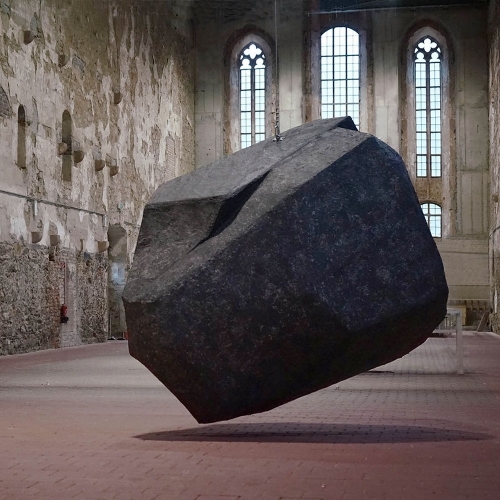 The only waste left is an organic charcoal called BioChar, in which are trapped CO and CO2. 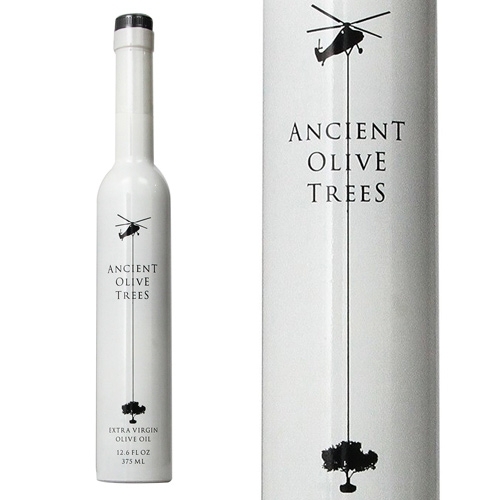 Ancient Olive Trees Extra Virgin Olive Oil - lovely black and white bottle with fun helicopter graphic. 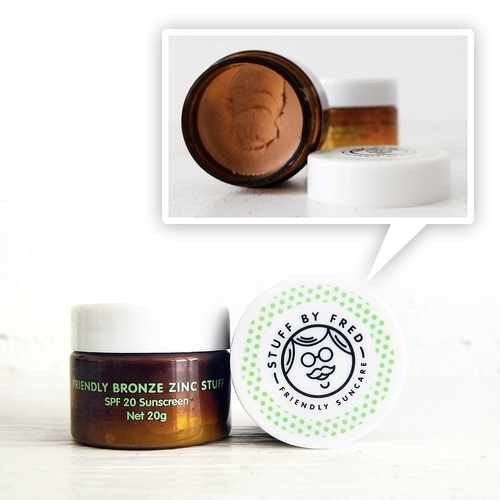 Stuff by Fred Bonze Zinc Australian Sunscreen - adorable logo that seems like a cousin of the Pringles and Monopoly men. David Scheid Stained Glass handmade in Los Angeles, CA. 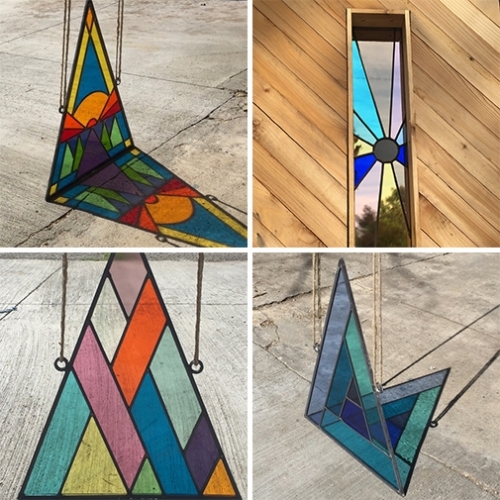 Is stained glass making a comeback? Modern stained glass?